This may sound strange or even discouraging, but the longer I spend in the worlds of Asian beauty and skincare in general, the less interested I am in the hottest new things. Don’t get me wrong. Trends are fun; I’ve fallen hard for a few, with no regrets (see: fancy water, honey, ginseng, and obviously and eternally snail). But I’m at a point in my skincare life where I’m ready to accept that there’s very little that’s new under the sun, and of those new things, very little that’s worth more than a quick glance. These days, I see a lot of gimmicks and a lot of manipulation, but not a lot of excitement. It’s not that I hate new releases and want them off my lawn. It’s more that I look and don’t see much that sounds better than what I’ve already got. I’m settled, and for now I’m happy with that. So what have I got that makes me so indifferent to what’s coming out? Let’s look! These are the products that you’ll see over and over on my Instagram. This post contains affiliate links, which enable me to earn a small commission when purchases are made after clicking them. Affiliate links are marked with an asterisk(*). One thing that hasn’t changed throughout my skincare life is my insistence on a neutral-to-low-pH cleanser. Fiddy does not play with high pH cleansers. Not after the last three unfortunate incidents in which I rediscovered my skin’s violent aversion to high pH cleansers. I’m actually pretty liberal among low pH lovers, since I consider anything up to a 7 to be acceptable, but I prefer cleansers with a pH in the 5-6 range. 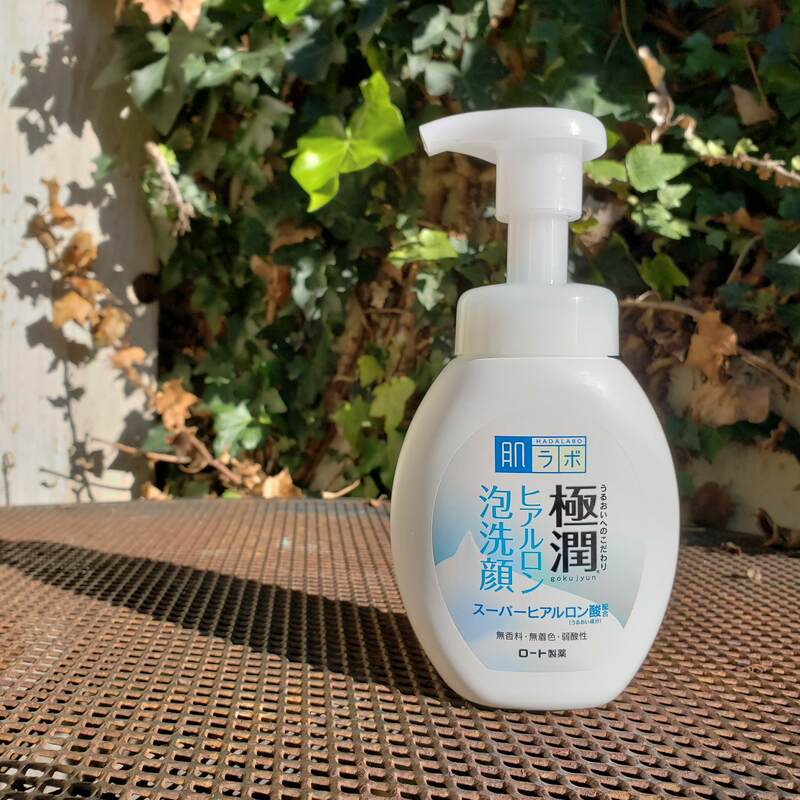 Hada Labo Gokujyun Hyaluronic Acid Cleansing Foam was one of the first low pH cleansers I liked, and one of the first low pH cleansers I ever blogged about. In fact, I just opened a fresh bottle a couple of weeks ago. This mild, unscented, no-frills face wash is about as boring as it gets in terms of skincaretainment. When I’m in a more adventurous or more luxurious mood, it feels like eating unbuttered boiled cauliflower at a Vegas buffet. But when it comes to simply cleaning my face without stripping away my natural moisture or leaving my skin feeling tight, well, unbuttered boiled cauliflower might be bland and boring, but it is good for you. The sole fun factor of the Gokujyun Hyaluronic Acid Cleansing Foam comes from its foaming mechanism, which dispenses a fat cloud of fluffy foam with each press of the pump. That’s from one pumping. Also note that the pH is between 5 and 6, just how I like it. Did I mention that it’s cheap? I get it for around $10 a bottle, which leaves me more budget to splurge on products that will actually stay on my face instead of being washed off. 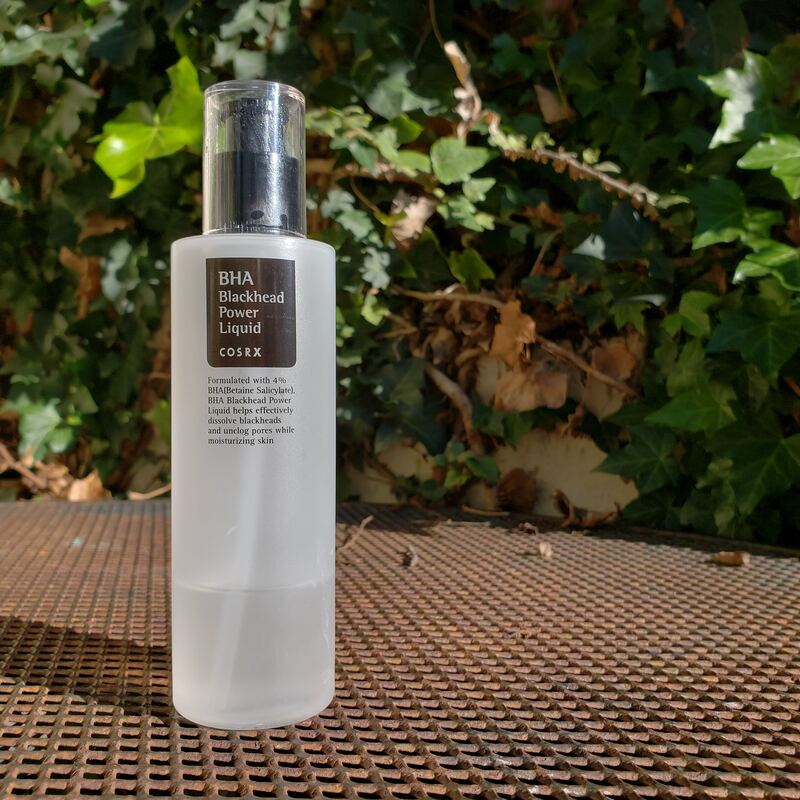 I don’t have a ton to say about this cleanser because it’s, well, a pretty boring cleanser, but it’s also trusty enough that I’ve returned to it over and over throughout the years. At the end of the day, that’s what matters. Sulwhasoo First Care Activating Serum EX first came into my life in 2016 and has stayed in my life more or less consistently since then. Every single time I’ve gone without it, I’ve seen and felt the difference in my skin, and it’s never been a good difference. Normally I get the bigger bottles, but I found a deal on this one. I’ll just have to replenish sooner than usual. 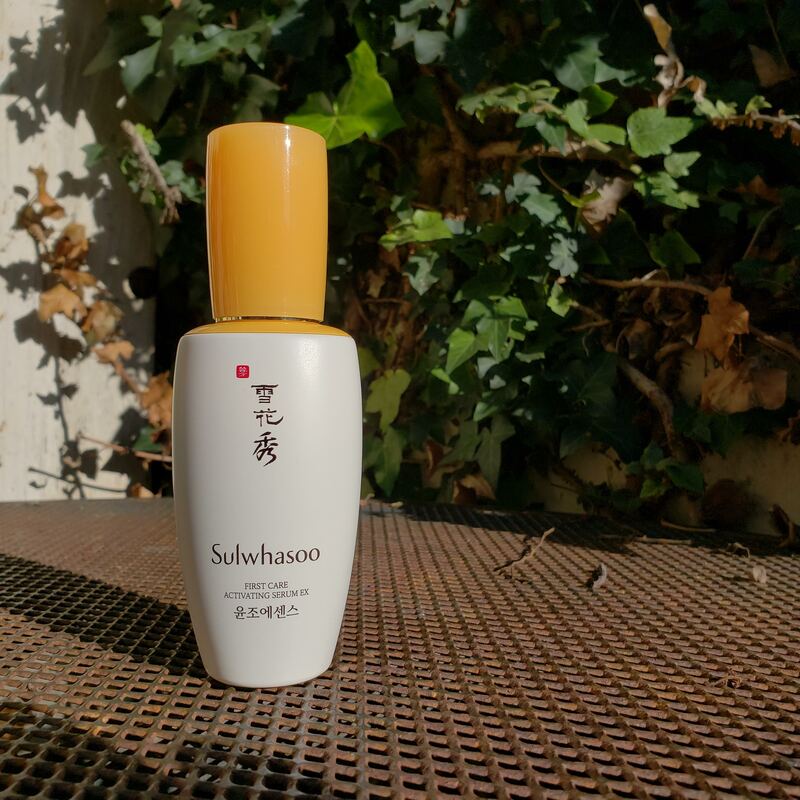 Unlike the Hada Labo Gokujyun Hyaluronic Acid Cleansing Foam, the Sulwhasoo First Care Activating EX is an exciting product. Packed with traditional herbal extracts, including licorice root extract (which I love for its brightening properties), this is a thin, golden brown gel that smells like herbal heaven. Patted into skin, it sinks right in and seems to help subsequent layers absorb more quickly. Immediately after use, it leaves my skin feeling softer but without added heaviness. And with longer term use, it stimulates the circulation in my face, bringing a rosy flush to my cheeks that I never have otherwise. The softness is nice. The absorption boosting is nice. But the rosy glow is what keeps me coming back for more. Every time I stop using this product, my skin visibly loses some liveliness; when I’m using it again, that liveliness comes right back. I like to look as alive as possible, so I’ll keep this in my routine for as long as I can. Okay, back to Hada Labo now. 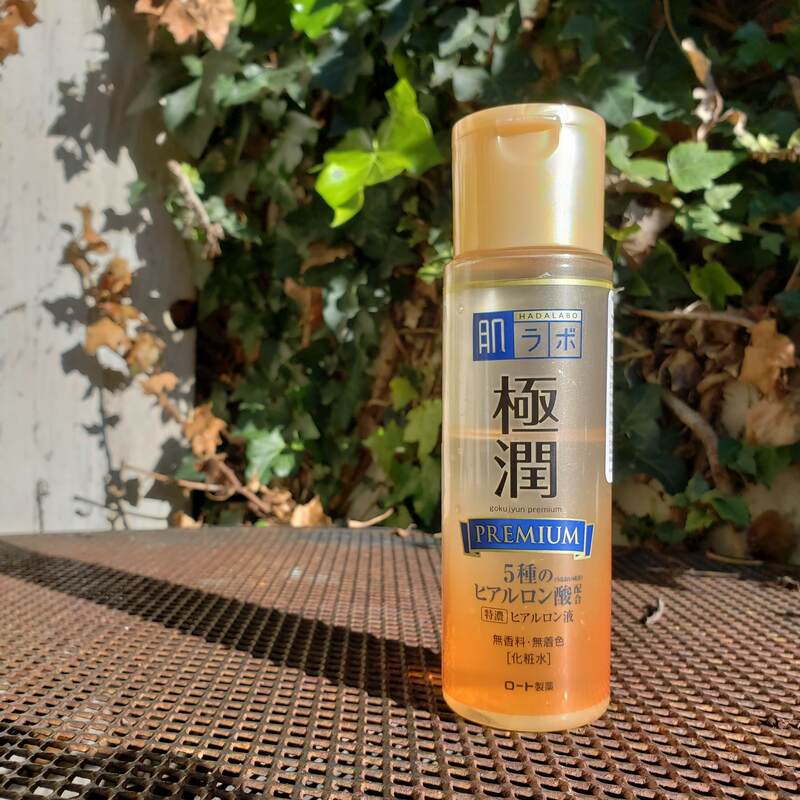 On the excitement scale, the Hada Labo Gokujyun Premium Lotion, which I first reviewed almost two years ago, falls somewhere in between the Hada Labo Gokujyun Hyaluronic Acid Cleansing Foam and the Sulwhasoo First Care Activating Serum EX. The Gokujyun Premium Lotion doesn’t contain any fun and fancy herbal extracts. Nor does it smell like my personal idea of paradise. It’s not quite unbuttered boiled cauliflower, though. Maybe it’s something like…a healthy but tasty vegetable soup. The excitement (and my addiction) come from this hydrating product’s five different types of hyaluronic acid. While I think it’s funny when certain brands act like hyaluronic acid is a super premium groundbreaking miracle star ingredient that you can’t find anywhere else, it is true that hyaluronic acid can be awesome. It’s a humectant, meaning that it attracts and holds water. More water in your skin = plumper, bouncier, glowier skin. The reason the different types of hyaluronic acid matter here is because each type is a different molecular weight and can penetrate to a different level of skin. That creates the potential for plumping and hydration at multiple levels, and that is what the Gokujyun Premium Lotion delivers. This thick, serum-like liquid is on my short list of toners that provide nearly sheet mask-level plumpness and hydration. Even better, the blandness of the formula makes it suitable for other uses. I particularly like to smear a bit of this on my lips after exfoliating them and before applying lip balm. My lips stay moisturized for longer and look a wee bit plumper, too. I came back to this after a pretty long hiatus, and I’m so glad I did. I often use this as my only product under sunscreen in the morning, and I never miss out on it at night. Plus, it’s basically a serum product in a toner-sized bottle, and that’s economical. My exfoliation habits have changed dramatically over the last couple of years. Back when I first got serious about skincare, actives dominated my nighttime routine. I’d do a separate AHA and BHA all over my face every single night with at least a 20 minute wait time after each, and then my Curology prescription tretinoin with another 20 minute wait time. That’s a lot of actives to throw at one face every night. It’s also a long time to wait before finishing my routine. I don’t regret my rigorous old routine, but after a while, I found it unnecessary. The daily actives got my skin to a state that I was happy with. Once I got there, I cut back. 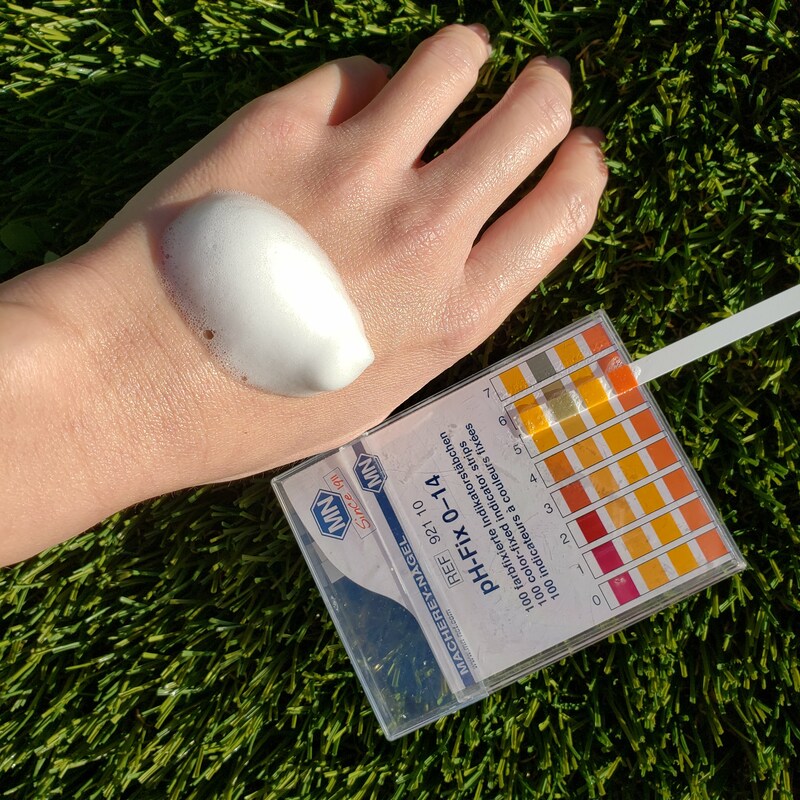 Two acids a day frequently had my skin feeling like it was close to the edge of overexfoliation, even though it looked nice, and while I wasn’t willing to totally give up my tretinoin, I did want to find ways to reduce my susceptibility to sun damage. At some point, I dropped my daily AHA and limited my BHA to my nose only. These days, I very rarely use any AHA, and I only use Curology about four times a week for maintenance. What I’ve never stopped doing is putting my BHA on my nose, and I always use the same BHA I have since I first reviewed it in 2015: COSRX BHA Blackhead Power Liquid. Despite the years that have passed since my first review of this, this is only my third bottle. It lasts forever at the rate I use it. For those of you new to BHAs or in need of a quick refresher, beta hydroxy acids (BHAs) are often used in skincare to deal with blackhead and acne concerns. BHAs are oil soluble, so they can penetrate into the gunk within pores to loosen up and clear away clogs. In fact, BHAs are a core part of the grit-removing, pore-clearing routine that has been one of the top posts on this blog for years now. Formulated with 4% betaine salicylate, a milder form of the more common BHA salicylic acid, at a pH of a bit over 4 according to my most recent test, COSRX BHA Blackhead Power Liquid is one of the more gentle yet still effective BHA options I’ve tried. Regular use keeps the pores on my nose free of old sebum and debris that would otherwise make them look larger and darker and that could clog up and cause breakouts. The almost odorless clear liquid sinks into skin quickly–I don’t even give this much of a wait time anymore. I usually proceed with my Curology after just letting the COSRX BHA dry for a few minutes and haven’t seen any loss of benefits. A part of me suspects that the reason I haven’t moved on from the COSRX BHA is simply because it takes me so damn long to finish a bottle. Since I only use it on my nose, the only place on my face where I have pores visible enough to warrant extra care, I only need the tiniest of drops at a time. I’ll sometimes splash out and smear it all over a freshly shaven leg or something to help prevent ingrown hairs, but that’s rare, and a bottle can last me a year or more. Still, I can’t deny that every time I do run out of the COSRX BHA, I automatically get another instead of feeling the urge to look for something better. For my purposes, it works out perfectly and with no downside, so what’s the point in taking a risk on something new? Confession: I’ve sung the praises of COSRX’s snail essence and cream so much lately that I’m not sure what else I can say about these products, except that I’ve gone through bottle after bottle and jar after jar of them without ever getting sick of them. My love has only grown stronger since the first time I blogged about them. In fact, I sang the praises of the Snail 92 All In One Cream as eye cream in a blog post just a few days ago. And every time I’ve tried to move on to another snail product, I’ve ended up coming back to COSRX. The potential discontinuation of these products is my nightmare. 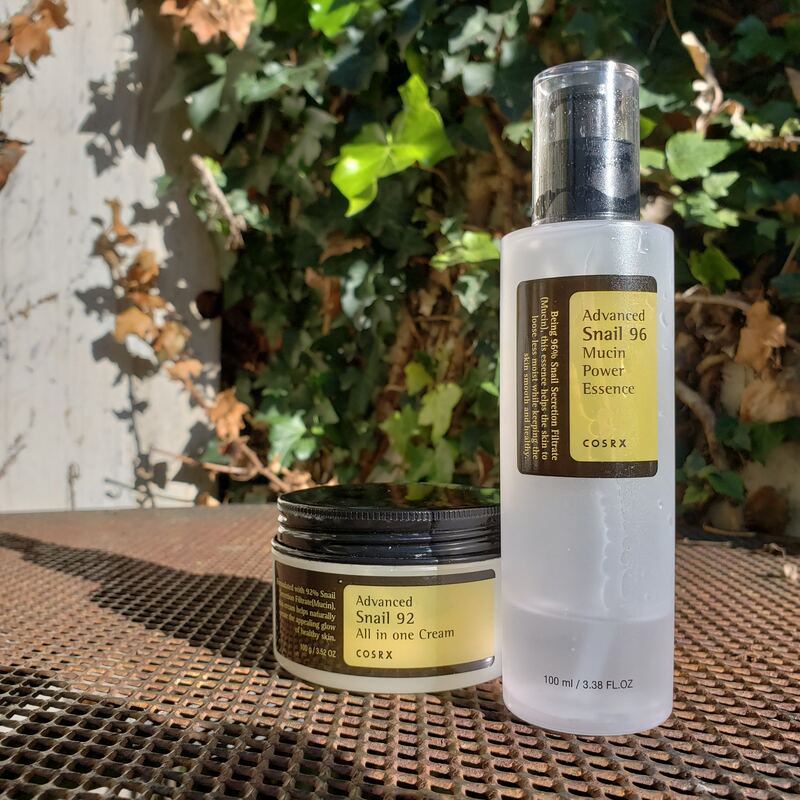 Thick and, yes, slimy, the COSRX Advanced Snail 96 Mucin Power Essence lays down a layer of soothing, smoothing, hydrating protection on my skin that very few other products can match. 96% of the product is snail secretion filtrate, and it shows: this about the plainest and dullest product you could make from such a strange-sounding ingredient. I mean that as a compliment. Without any fancy tricks or marketing contortions, this snail essence just works. Any irritation that I have calms down faster; any breakouts that I get from other product reactions or the whims of nature heal quicker. Similarly, the COSRX Advanced Snail 92 All In One Cream is plain, mild, and awesome. Used as a face cream, it softens my skin to a perfectly velvety texture without any greasy residue or unpleasant film. Used as an eye cream, it’s smoothed out my little undereye fine lines to the point where it looks like I took an iron to my face in the mornings. My upper eyelids are slowly firming up now as well. The very soft and also somewhat slimy cream can be a pain to get out of the jar, so I use a scoop. That is my only complaint about the product. Besides its moisturizing and smoothing capabilities, COSRX Advanced Snail 92 All In One Cream has an additional benefit. It’s so vanilla that it may be one of the safest options for particularly compromised skin, provided you don’t have sensitivities to any of the ingredients in the cream. My good friend Tracy (of Fanserviced-B and general beauty and culture journalism fame) uses a strong azelaic acid gel and just finished a round of Accutane. As you might imagine, her skin is very touchy right now. COSRX knows how to make good snail products. 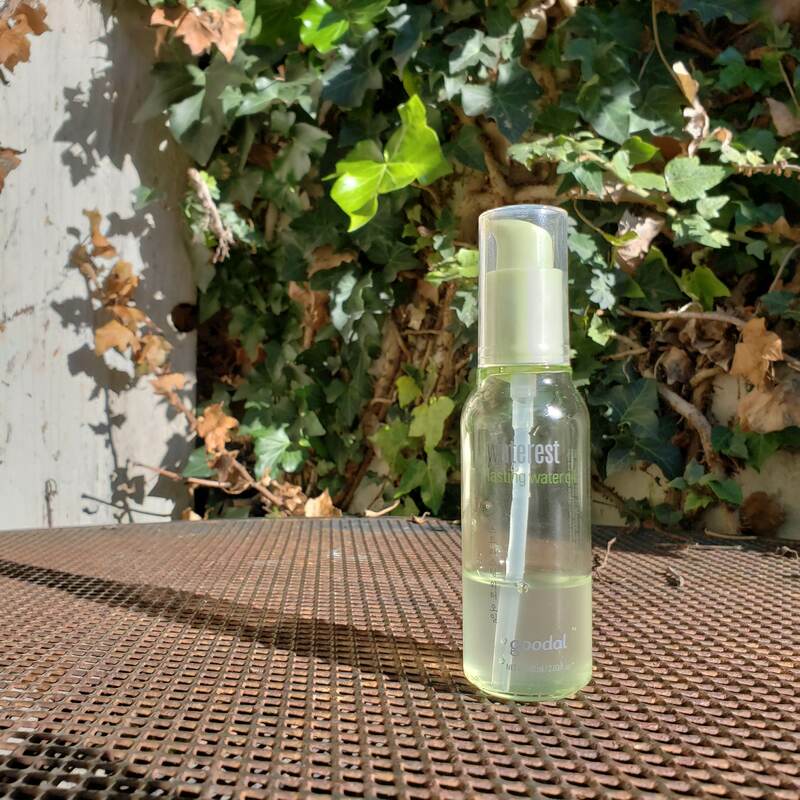 When used as a booster before toner, Water Oil seems to magically hold moisture to my skin’s surface, help slightly smooth texture and minor scars, give the illusion of “fatter,” more bouncy skin, and create a fantastic base for makeup. Since Tracy’s review, the product went through a reformulation, but it’s my understanding that the current iteration, which is the one I have and have already torn through three bottles of, is back to the original formula Tracy discussed. That’s a very good thing. Crap. I’m running low again. I think one sign of a truly special product is when two people of radically different skin types can both enjoy it. At the time she wrote that review, Tracy’s skin was oily and acne-prone. My skin, on the other hand, generally stays normal, with occasional dry leanings due to climate (and, I guess, age). Yet we both still love it, for fundamentally the same reasons. I apply my Waterest Lasting Water Oil generously immediately after my Sulwhasoo First Care Activating Serum EX, or first in my routine if for whatever mad reason I’ve chosen not to use the First Care Activating EX for the night. The rich-feeling liquid pats into skin quickly and leaves my skin smoother and fatter, with a soft glow and a sensation of deep nourishment thanks to the micronized oils in the formula. During dry weather and periods of heavier actives use, it helps keep my skin from desiccating. During milder weather or when I’m being more gentle on my skin, it maintains balanced and abundant moisture levels without making me feel oily. It’s just pretty much the bomb. My main complaint about the Waterest Lasting Water Oil is that the bottle is freaking tiny for how much I like to use at a time. I go through this stuff extremely quickly (when uploading the photo above, I realized I need to restock and stopped blogging for a minute to make an order). My other complaint is that, for whatever internal reason I’m not privy to, this incredible product is very difficult to find outside of one particular US website, which I’ll link below. Besides those complaints, I got nothing. I freaking love this stuff. I promise there will be reviews of new and unfamiliar products coming to this blog in the very near future. I haven’t just been clinging to old favorites, and now that I’ve gotten back on the blogging horse, I’ve got a lot to write about. But as someone who’s been in the game for a pretty long time, I think there’s a lot of value in looking at the products that are good enough to keep using over and over. 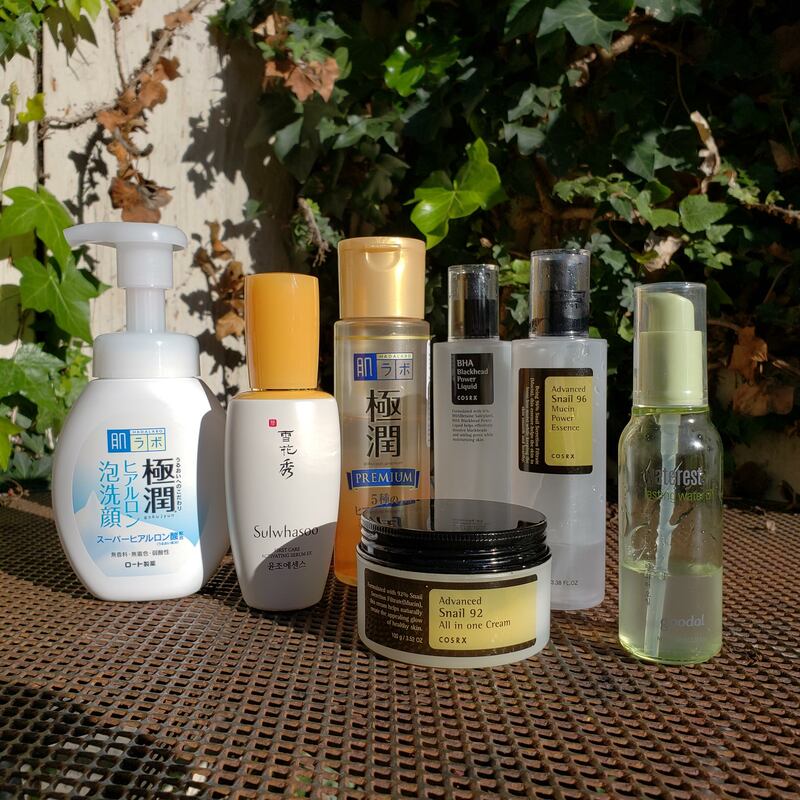 When we first start blogging, or even just start using K-beauty and AB products in general, it’s easy to love everything. The longer we go on and the more products we compare, the clearer it becomes that most don’t stand the test of time. The ones that do are worth a second or third or fourth look. Which products do you return to over and over? Thank you sooooooo much for the love! I am totally back! And don’t worry about Club Clio. We’re old friends! So excited to say that I’ve recently started the k-beauty skincare regimen thanks to you!! I’ve spent hours and hours on your blog learning so much! I have most of the items mentioned in this blog and some additional, this is the order I’m currently doing them in my nighttime routine. I would really appreciate it if you could Let me know if you recommend switching the order and also, I’d like to add shark sauce to my routine once I buy it, where in my routine would I add it? Hahahaha that’s so similar to my routine! The only thing I would say is that the Earth’s Recipe toner is probably redundant with the Hada Labo lotion already, since they serve the same basic purpose. But if you do want to layer them both (and I certainly have done stuff like that too! ), I would put the Earth’s Recipe toner before the Cosrx snail mucin. The rest looks perf! Yay!! What about when I add the shark sauce? Where would that go?! So great to see you back! : ) These are also my staples – thanks to you! I agree that Sulwhasoo First Care Activating Serum EX is not cheap, and this is even more true here in Brazil, where heavy taxes apply when import it. But well worth it! Vichy in general kinda cracks me up. I mean, I know I’ve loved a few “oooh special water” products in the past, but good Lord those prices…that water better have actual angel dust in it! do you use the HL premium after the goodall water oil?? “I strive to look as alive as possible.” That’s #skincaregoals right there. Whats the diffwrence between the Cosrx long name essence and the Cosrx long name cream? Is it just that one is an essence texture and one is a cream? Unfortunately skin doesn’t seem to like hyaluronic acid (or sodium hyaluronate) of all things, so a lot of these and everyone’s favorite products don’t work for me. I am looking for a FTE essence though so that Goodal one is interesting and one I haven’t seen before! Kiku-Masamune High Moist Lotion. One gigantobottle of bright pink moistness lasts for months, maybe years. Very reasonable price. Used before the HL Premium. Ulta also carries the Goodal waterest lasting oil online for $15 – though the bottle pictured is older packaging. Hi Fiddy! I just found your blog last week on a major rabbit hole dive into skin care. I turned 40 on Friday and have been mistreating my skin for so long, I decided to start treating it well. So from castile soap and jojoba oil to now a full 7 step regimen, I have you to thank! I have very dry skin with sun damage, fine lines, and redness; I’m crazy sensitive. I’m loving the snail essence and cream! Anyway, I just placed an order for Waterest on Club Clio. They also had some Waterest skin care sets on super sale so I bought a few. Do you have any input on their First Essence, moisture barrier cream, or sleeping pack? Thanks! The First Essence is pretty decent (though kinda perfumey), I don’t care at all for the moisture barrier cream, and I really like the sleeping pack! I use it quite a lot! It’s hydrating and a bit more moisturizing than most water gel sleeping packs, so it works nicely for me! And belated happy birthday to you!